Novo Nordisk has shaken off fears of a drug pricing crackdown from president Donald Trump, after it beat profit forecasts in Q1 results. Trump had been expected to launch measures to crackdown on US pharma pricing, such as allowing government backed Medicare to negotiate lower prices. While it would still take many months or years to become law, no clear legislation has materialised, as Trump struggles to gain consensus among his Republican party on reforming Obamacare. This pause is allowing Novo and other pharma companies to continue with business as usual in the US – for now. Shares in the Danish company were up by more than 7% following the news, with new diabetes and obesity drugs increasing sales as new CEO Lars Fruergaard Jorgensen’s tenure got off to a good start. The results calmed investors’ other concerns about increased competition and lower margins in the US market. Eli Lilly has launched a cheaper biosimilar of Sanofi’s big-selling insulin Lantus in the US, which is also competing on price with Novo Nordisk’s products. 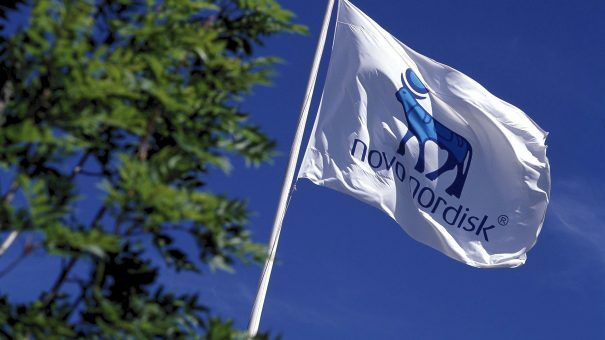 Sales of its newer Tresiba long acting insulin increased by 174% to 1.5 billion kroner ($220 million), while sales of Novo’s well-established GLP-1 increased 25% to 5.8 billion kroner ($850 million). Sales of new obesity drug Saxenda also grew strongly compared with last year’s Q1, increasing 122% to 500 million kroner ($73 million). Overall sales in North America increased 5%, although this figure was boosted by the influence of so-called currency tailwinds. Novo Nordisk also narrowed its sales forecast for the year, from -1 to 4%, to between 0 to 3% growth, while lifting profit forecasts to -1% to 3%, from -2% to 3% in local currencies. Operating profit was up 10% on last year’s Q1 to 13.5 billion kroner ($1.9 billion), beating Reuters average forecasts of 12 billion kroner. Novo will hope to build on the strong results with an approval for its next-generation weekly GLP-1, semaglutide. The FDA is not expected to make a decision on semaglutide until late this year, but the drug will be an important sales driver for Novo once approved in the US and other major markets. Sales are expected to reach $2.2 billion by 2022, as it will offer a more patient-friendly dosing regimen compared with Victoza (liraglutide), and has outperformed AstraZeneca’s weekly rival Bydureon (exenatide) in trials.